Flying Witch Garden Weathervane. 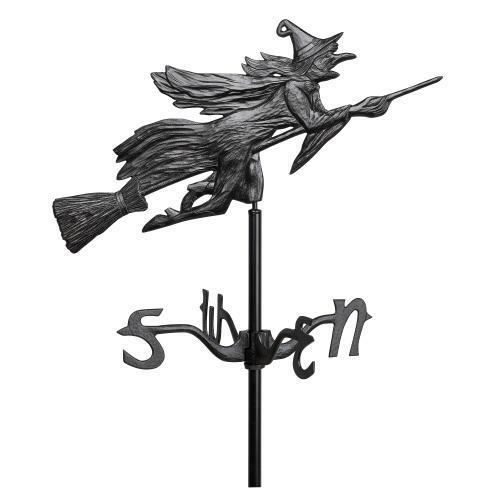 This unique Witch Weathervane is a perfect way to decorate your lawn or garden for Halloween. Fully functional. A 5 ft. post provides excellent visibility for the witch ornament. 5 ft. post allows for mounting directly into the lawn or garden.